It is common knowledge that the world of technology is moving and changing rapidly. What is current today is obsolete tomorrow. Digital camera sales were up 80% last year and manufacturers have stopped introducing new film cameras. Simply stated: film is dead. You cannot afford to wait any longer to learn how digital photography can affect the bottom line of your dental practice. Don’t be left behind! 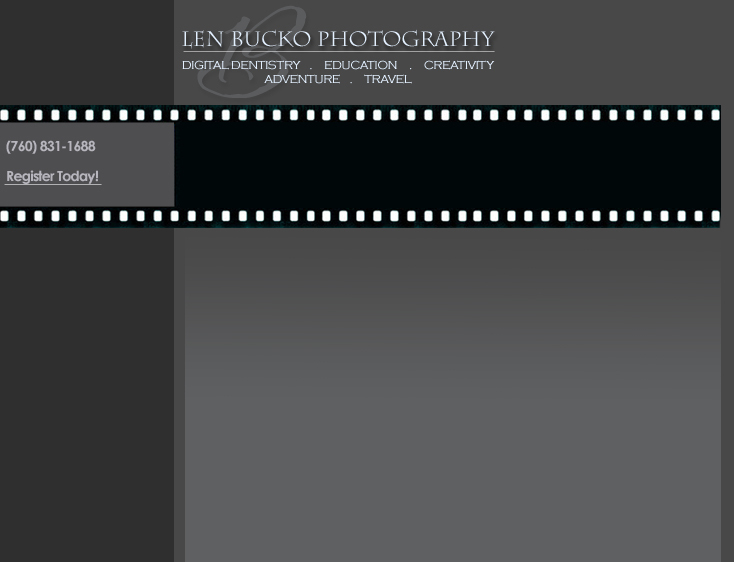 Let Len Bucko and his Digital Dental Photography Seminars and In-Office Coaching sessions help you quickly master the next step toward further advances in your business.